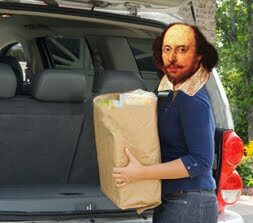 What is it about Shakespeare that inspires people to do things like track down all the turkey references in his plays? Who knows? But I want to thank the anonymous blogger at birdsofthebard for making my job easier. I think I'll send him/her this Shakespeare-inspired Thanksgiving eCard—from one Bard-geek to another.